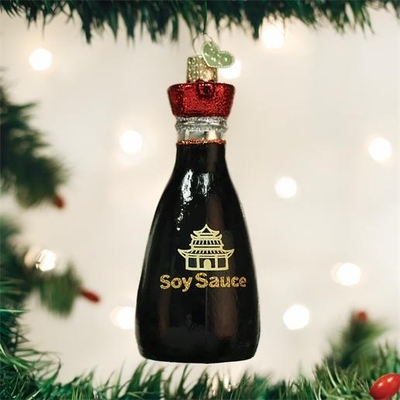 Home > Old World Christmas - Traditional Glass Christmas Ornaments > Old World Christmas Glass Ornament - "Soy Sauce"
Soy Sauce originated in China between the second and fifth centuries. Salt was an expensive commodity and soy sauce was a less expensive way to add salty flavor to a dish. Today, the condiment is used around the world and is available in hundreds of various flavors and varieties.